Mandela Day (July 18) has become an annual activity at JAM. This year, JAM hosted a successful Mandela Day with partners, staff, volunteers and friends where we joined hands together to celebrate Madiba’s legacy. The JAM headquarters in Johannesburg became a hub of activity, and 11,037 pairs of TOMS shoes were sorted and packed for distribution to disadvantaged schools in the communities we serve. This effort will hopefully bring some relief to those little feet subjected to the unforgiving winter cold. 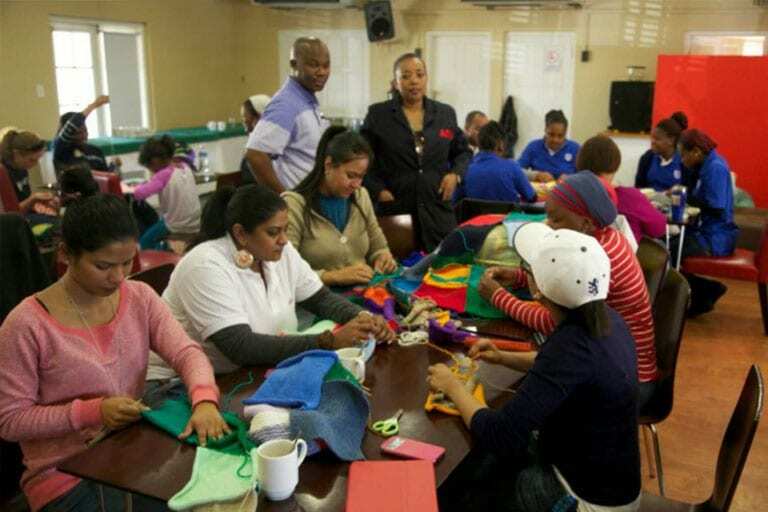 While some groups crocheted blankets and packed shoes at the headquarters, other groups set out to do makeovers at day care centres in various communities of Johannesburg and Pietermaritzburg in KwaZulu-Natal. Our agriculture team also helped establish vegetable gardens and educated community members on how to manage these successfully. Some of our affiliate offices also put their shoulders to the wheel. From day care centre makeovers to fundraising for the needy, their efforts had no boundaries. This will go a long way in brightening the day for so many less fortunate people in our communities – they too will be warm and fed this winter. As Nelson Mandela put it, “It always seems impossible until it’s done,” everything seemed like a mammoth task until the JAMily came together to help the less fortunate communities we serve. We thank our partners, friends and volunteers for their part in making Mandela Day 2014 such a rousing success.